Yo! My buddy Eric Hinote and I received an honorable mention in the Downtown Jacksonville website’s blog article about placemaking through public art. 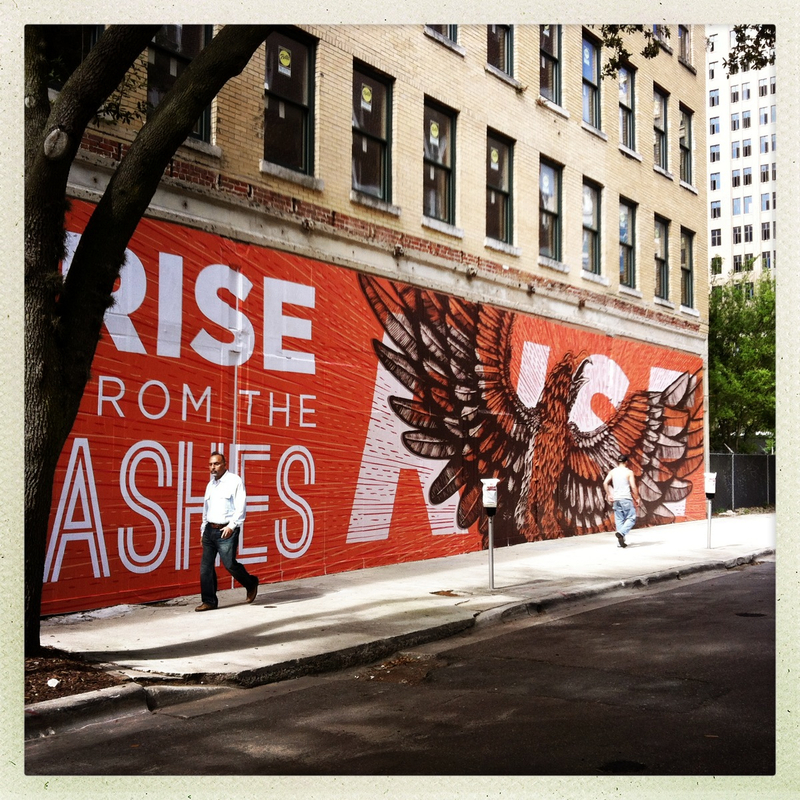 They featured the “Rise From The Ashes” mural we designed and installed downtown. Public Art is important because it’s accessible art that anyone can see, for free. Galleries and Museums are great institutions that showcase art and culture, but they aren’t always free or inviting. What it gives back to the community through placemaking, city beautification, and cultural awareness is immeasurable. If you would like to learn more about the art in public spaces movement going on in Jax right now, check out what the Jacksonville Cultural Council has going on. I am excited to see this movement taking off in Jax, and we have such a large and talented arts community contributing to it. Speaking of, I am especially excited about the murals Shaun Thurston is doing, not just downtown, but all over Jacksonville. Give him a wall and he can create a completely new world. Make sure you check his site out too, guys.